The official BTCC website talks to all of the championship protagonists over the course of a race weekend and Oulton Park was no exception. We’ve grouped our weekend ‘Five Stars’ together below, plus we hear from Series Director Alan Gow on an action packed event that was played out in front of a huge crowd. Jason Plato tops the table after his two victories while an impressive first WSR win for Sam Tordoff was another highlight in the Cheshire sunshine. 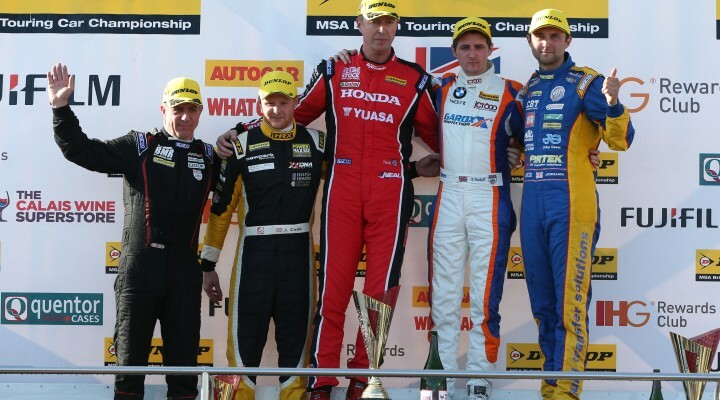 It wasn’t all about the race winners, however, as Gordon Shedden produced his own podium performance, whilst Andy Jordan and Matt Neal took two rostrums apiece to keep their respective title challenges on track.